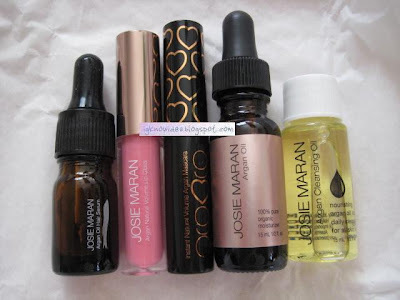 Last week, I posted about the Sephora Beauty Insider's 500 point gift for a Josie Maran set and how I snatched it. Well, it finally came this week and super glad it did. I can now enjoy all of the Argan Oil goodies including the two products that I purchased- Argan Oil Daily Moisturizer with SPF 40+ & Argan Illuminizer. But first, the 500 point gift! I already have 3 out of 5 of the products before- lip gloss, GOGO mascara and the 100% pure Argan Oil. I'm excited to try the hair serum- the heat has definitely fried my hair- and the new cleansing oil! I only use a teensy amount of the cleansing oil and although it feels pretty oily when applying, using warm water to wash off, my skin feels amazingly clean and refreshed. Argan Illuminizer- See more reviews here. I use this as a highlighter above my cheeks right now and love how it just makes my face look so radiant. It's a bit bronzey and the shade is just right- in fact, the color is so pretty, most skin tones can wear this and look absolutely stunning. They recommend using this under dark circles but I haven't tried that yet. 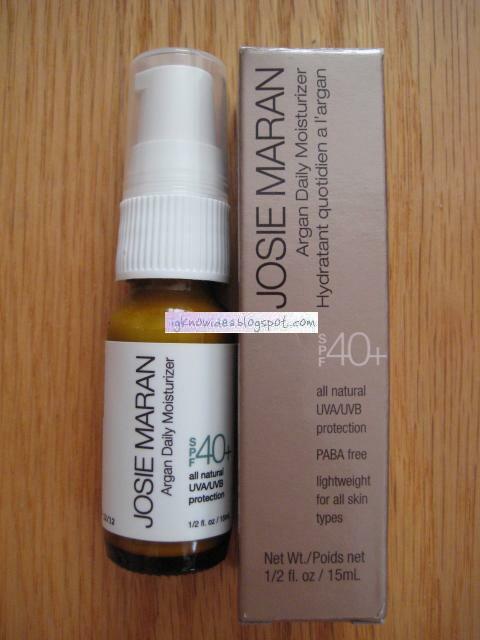 For a gorgeous dewy look, I recommend this!